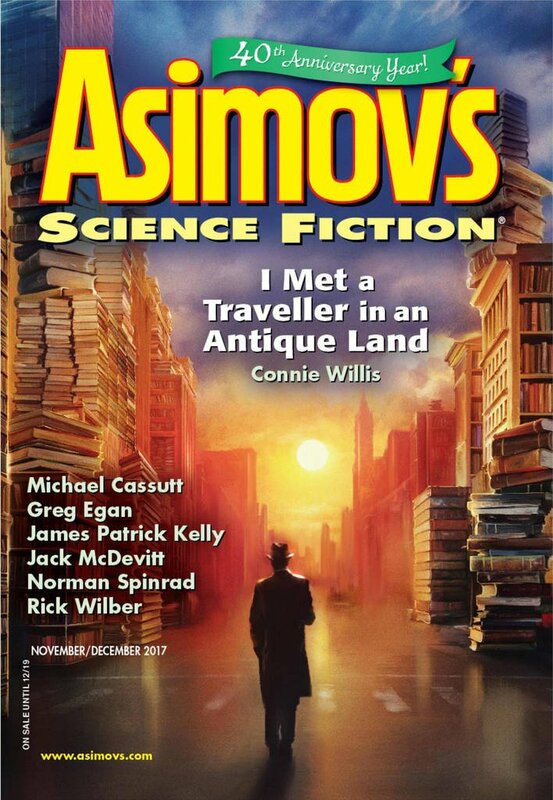 "Timewalking," by Michael Cassutt [bio] (edited by Sheila Williams), appeared in Asimov's Science Fiction issue 11-12|17, published on October 19, 2017 by Penny Publications. Pro: This is about James making a decision about his and Pham’s future, and by the end he makes it himself--it's not dictated by people from the future (real or not). Con: There's a lot of stuff here about time travel and cool technologies and possible conspiracies, and yet it all comes to nothing in the end, and we never learn what was really going on.